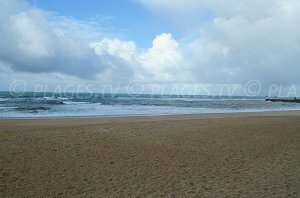 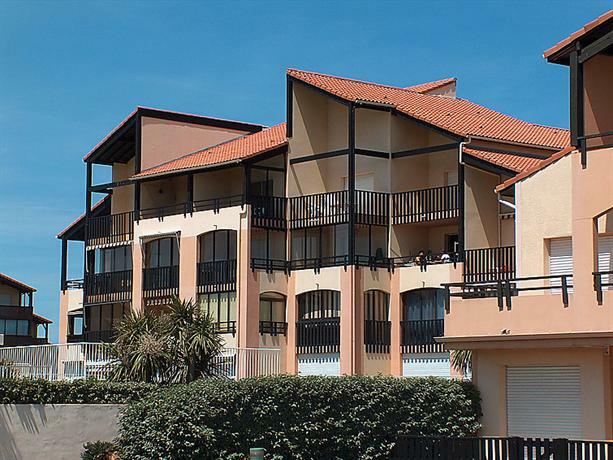 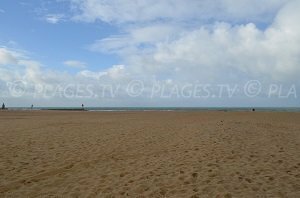 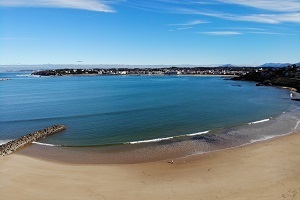 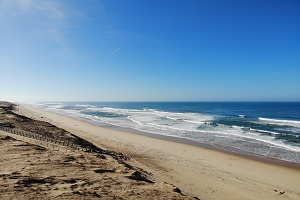 South Beach in Hossegor is located between Capbreton harbor and downtown Hossegor in the place called “point d'Or”. 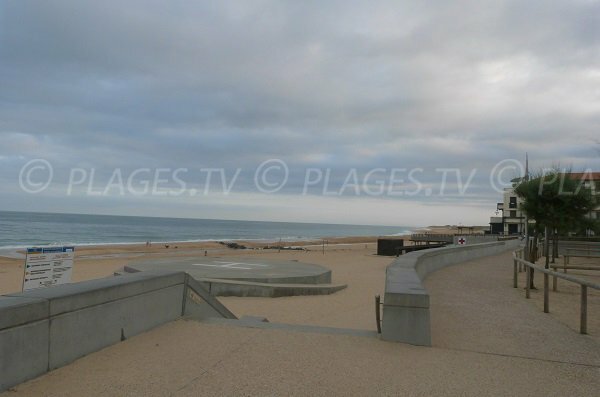 This big sand beach is bordered by a pedestrian promenade with several stairs for access. 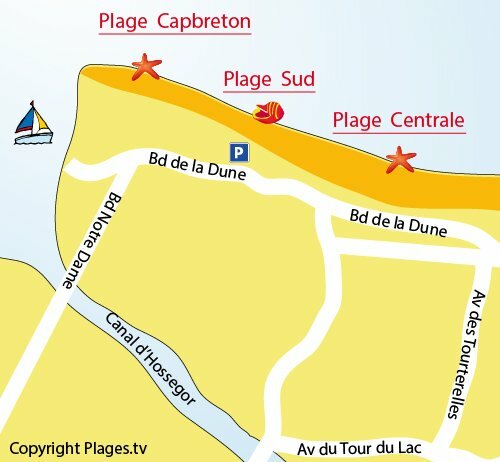 There is a lifeguard in the summer. 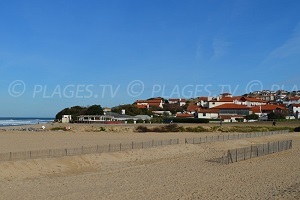 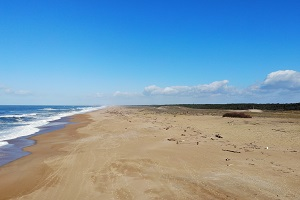 Going toward the south, we join up with Notre Dame de Capbreton Beach, just before the dam near Hossegor. 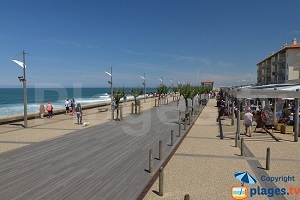 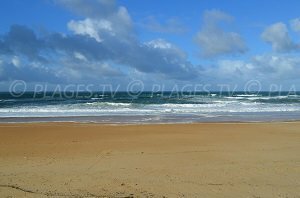 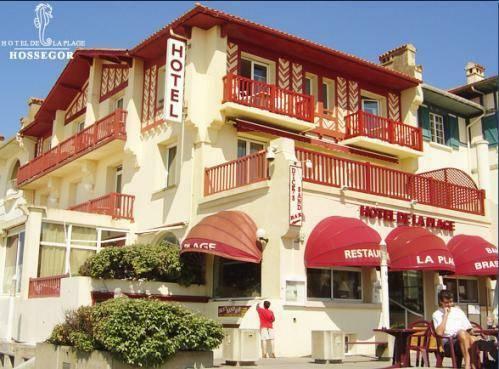 Coming from Capbreton, the beach is located on boulevard des Dunes. 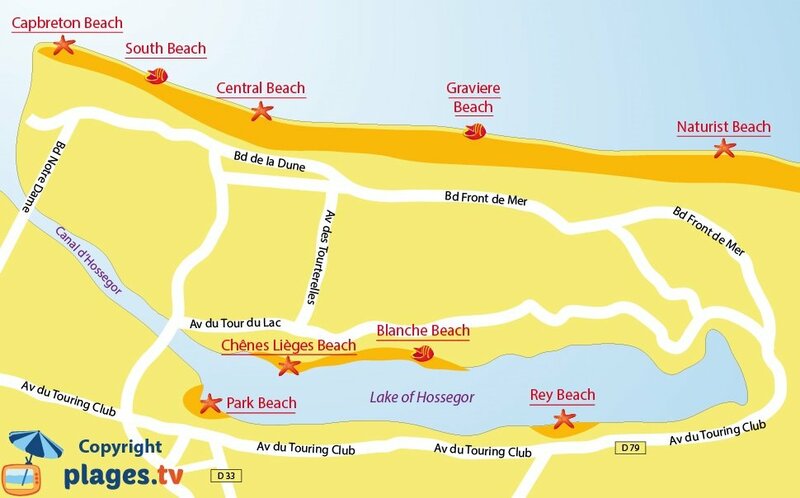 After the residence “Point d'Or”, we find parking places. 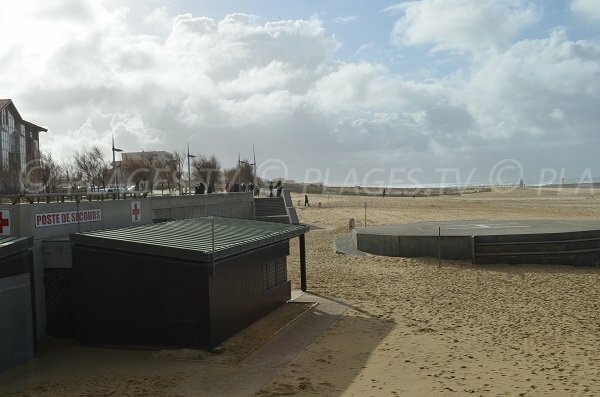 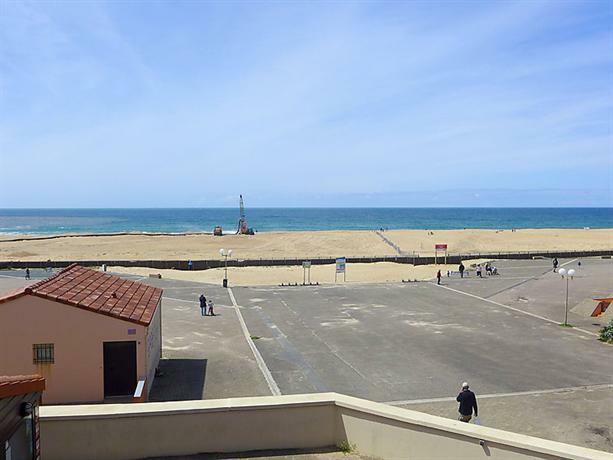 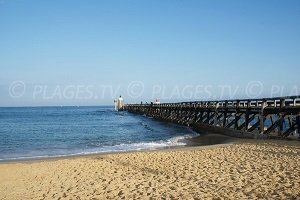 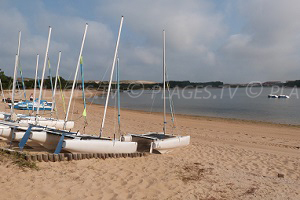 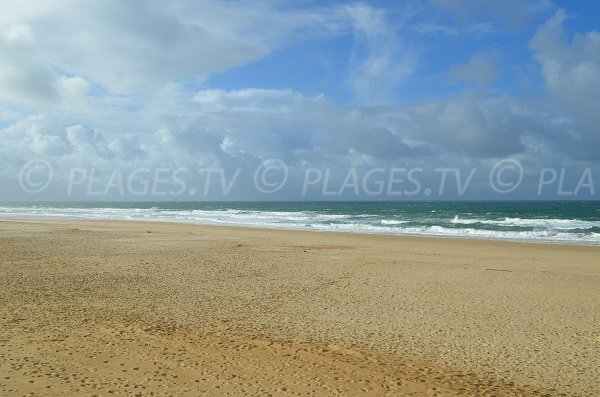 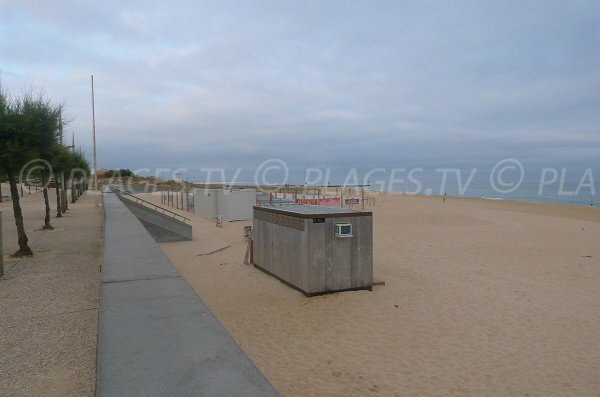 Located between Capbreton dam and downtown Hossegor, this sand beach has a lifeguard in the summer. 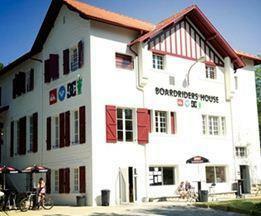 This is the first aid station. 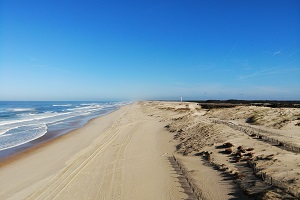 This is a view toward downtown. 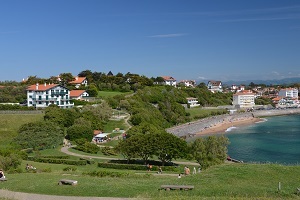 On the right is the pedestrian promenade.